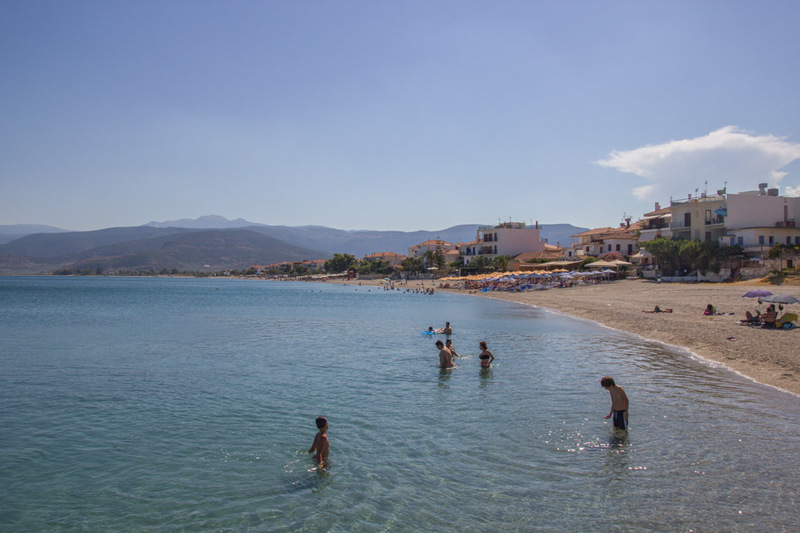 It is the beach that primarily starts from the port and ends up 5km southern to Xerronisi, near the beach of Agios Andreas. 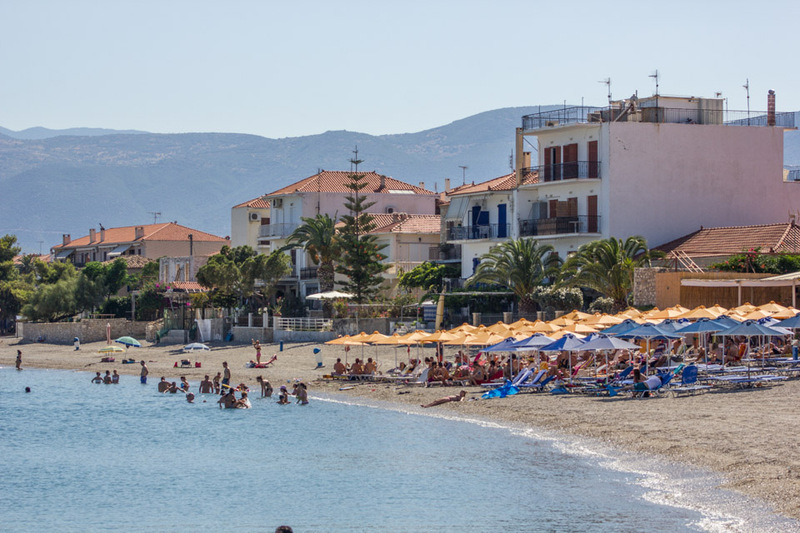 It is the main beach in front of the tavernas and the cafes of the seaside Astros with crystal-clear water,as the sports lovers have the chance to enjoy the sea doing their favourite sport. 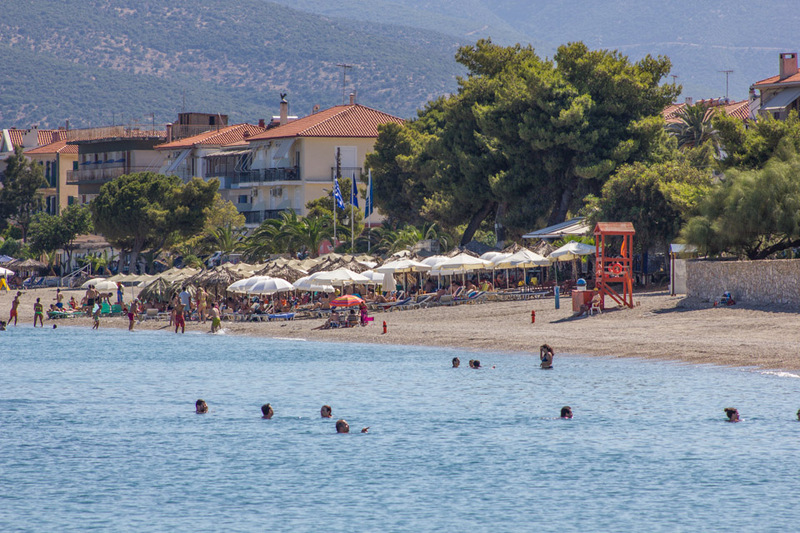 The beach is organised and suitable for all ages. You can also enjoy a great walk by the picturesque port and the stunning view from the Castle and the "Island".